Unsurprising I went shopping on Saturday and fell in love with these beautiful Nike Air Max. The pastel green colour is beautiful and really caught my eye. I wanted some comfy footwear for driving when I drive long distance and when I tried them on they didn't disappoint, they were super comfortable, and they are also really wearable as they stretch to fit your foot. I'm normally a size 6 but I managed to fit in a 5, although I decided to get a 5.5 UK sizing as I wanted to be comfy and not have them too tight. 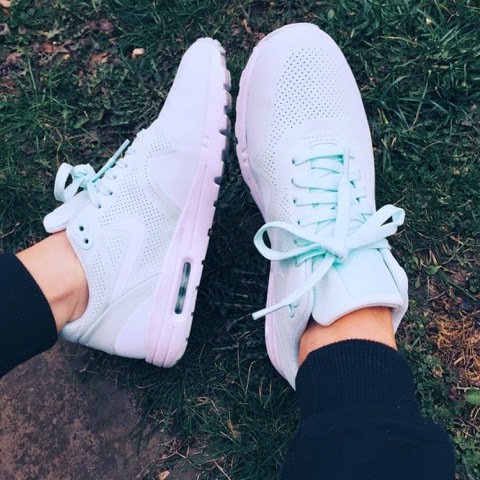 These are so perfect for spring and summer and if you want some super comfortable footwear. They retail at £110.